She holds a World Series of Poker Europe (WSOPE) bracelet which she won in 2007. By winning this bracelet in 2007, she set a new record for being the youngest player to win a WSOPE bracelet as she did it at the age of 19 years old. She is also known for her online poker play and is one of the best online players in the world today, especially when it comes to the tournaments. Annie Duke holds one World Series of Poker (WSOP) bracelet which she won in 2004. She is known by her nicknames "Annie Legend", "The Duke", "The Duchess of Poker". Her hometown is Los Angeles, California. 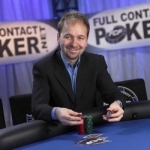 Duke's brother is Howard Lederer, a professional poker player himself. She has also a sister (Katy Lederer) who is a poet and an author, who wrote a book about the family, titled "Poker Face: A Girlhood Among Gamblers". Her father (Richard Lederer) was a writer and linguist who taught at St. Paul's School. Duke has also a family of her own now and she has 4 children: Maud born in 1995, Leo born in 1998, Lucy born in 2000, and Nell born in 2002. Barry Greenstein was born on December 30, 1954 in Chicago, Illinois. He holds 3 World Series of Poker (WSOP) bracelets and 2 World Poker Tour (WPT) bracelets. He is also known by his nicknames "The Robin Hood of Poker" and "The Bear", and his hometown is Rancho Palos Verdes, California. Greenstein graduated from Bogan High School and went to learn at the University of Illinois where he got his bachelor's degree in computer science. He also studied for a PhD in mathematics, but never defended his dissertation, even though he completed it. When you see Ferguson for the first time, it never crosses your mind that he has a Ph.D. degree in computer science from UCLA. Both his parents have doctoral degrees in mathematics, and his father also teaches game theory and theoretical probability at the same UCLA Ferguson got his degree at. He is also one of the Full Tilt pros. Moneymaker studied at Farragut High School in Farragut, Tennessee and afterwards got a Master's degree in accounting from the University of Tennessee. Benyamine was a professional tennis player when he was young, but had to quit because he suffered from pain in his shoulder. He also used to play billiards and was a successful player in France, one of the best ten players in his country. David Sklansky was born in the year 1947 in Teaneck, New Jersey. His nickname is "The Mathematician", he lives in Henderson, Nevada and he holds three World Series of Poker (WSOP) bracelets. Sklansky was raised in Teaneck, New Jersey, where he also graduated from Teaneck High School in the year 1966. Later on, he studied at the University of Pennsylvania, but quit before he could graduate. He decided to return to his hometown, where he passed many Society of Actuaries exams before he reached the age of 20 and then worked for an actuarial firm.